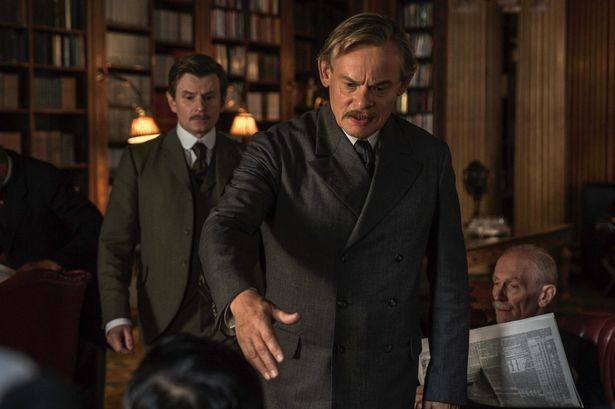 For Sherlock Holmes fans, Sir Arthur Conan Doyle’s embrace of spiritualism has always been an embarrassment. However, in the days following his first wife’s death, the great mystery writer also distinguished himself by exposing at least two grave miscarriages of justice, notably including the George Edalji case. The premise is completely true, but Julian Barnes fictionalized treatment cranked up the mystery and intrigue, as Doyle had done from time to time in his own historical fiction. 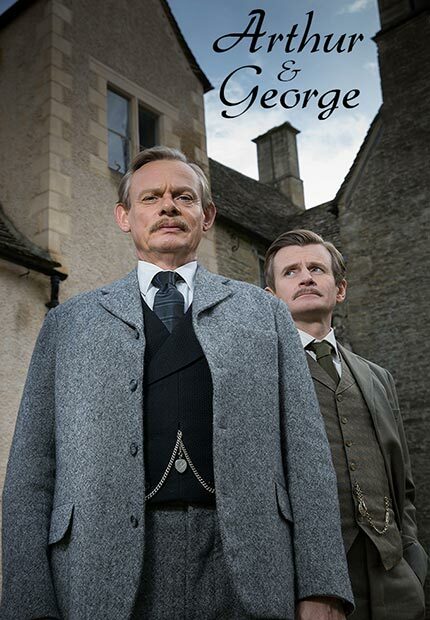 Following in the tradition of two popular incarnations of Sherlock Holmes and the Murder Rooms series featuring Doyle and his mentor Dr. Joseph Bell, the television adaptation of Barnes’ Arthur & George premieres this coming Sunday as part of the current season of Masterpiece on PBS (promo here). Doyle was always technically faithful to his first wife, even though appearances often suggested otherwise. He was indeed attracted to a Miss Jean Leckie, but still scrupulously respected his marriage vows. Nonetheless, when his wife succumbs to tuberculosis, guilt drags him into a deep funk. Somewhat ironically, the prospect of championing George Edalji’s cause rouses his spirits. At one time Edalji was an aspiring solicitor, but his life was derailed when he was convicted of a rash of animal mutilations that shocked the provincial village of Great Wyrley. The crimes seemed to be related to a nasty spate of poison-pen letters, whose vitriol were primarily directed at the mixed-race Edalji family. Yet, the constabulary hastily concluded they were all the work of Edalji’s deranged, attention-seeking mind. Although Edalji has already served his sentence in full, he still seeks to clear his name, so he can once again pursue a legal career. Doyle is immediately convinced of the man’s innocence, but his Watsonish personal secretary Alfred Wood is not so sure. Unfortunately, Edalji’s squirrely behavior seems to justify his skepticism. Martin Clunes is absolutely perfect as Doyle. He is blustery and larger than life, but in a way that suggests confidence and joie de vivre rather than the bumbling shtick of a Bertie Wooster. We can believe he created Holmes and is capable of conducting his own investigations. He also shares some rather earnest and engaging romantically-complicated chemistry with Hattie Morahan’s Leckie. In fact, their relationship subplot is not the empty dead weight you might expect. As Edalji, Arsher Ali is all kinds of awkward and standoffish, contrasting with his sociable benefactor quite effectively. Veteran television director Stuart Orme realizes several impressively atmospheric sequences and maintains a healthy energy level, but it is a little embarrassing how long it takes Doyle to figure out who really did it, despite said villain’s compulsively suspicious behavior. Nonetheless, watching him apply his Sherlockian principles in practice is good clean fun. The three-part series is a reliably classy period piece with enough social conscience to give it some edge, but not so much that it gets preachy. Recommended for fans of all things Holmesian and Clunes (from Doc Watson), Masterpiece’s Arthur & George airs over the next three Sundays (9/6-9/20) on most PBS stations.